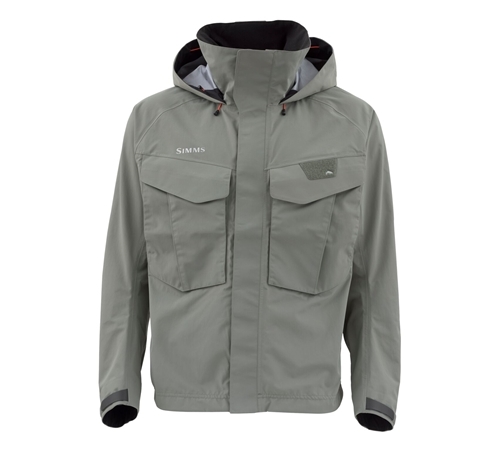 The Simms Freestone Men’s Fishing Rain Jacket is a guide rain jacket for men by Simms that is constructed with 3-layer Toray fabric that is lightweight, waterproof and breathable and this men’s fishing rain jacket is also constructed with a 100 percent nylon face with a tricot backer. If you are in the market for a quality, innovative, well made men’s fishing rain jacket, then this jacket is right for you. The Simms Freestone Fishing Rain Jacket comes stocked with an anti-line catch, molded cuff tab that prevents water from sneaking in and is designed specifically to eliminate line catch points which is essential to fly-fishing enthusiasts to help stop devastating line catches while you are enjoying your fly-fishing adventures, another great aspect of this quality Freestone jacket for men. 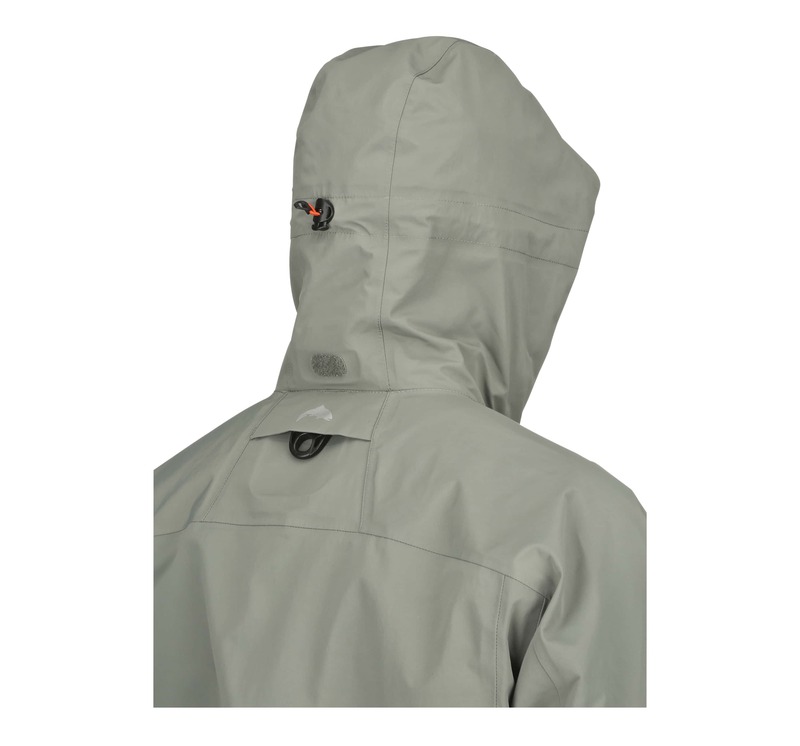 The Simms Freestone Men’s Fishing Rain Jacket comes with 2 top-load storage pockets that includes Simms’ integrated retractors, just another great feature of this wonderful fishing jacket which has made this Simms Freestone jacket one of the most popular fly-fishing guide jackets on the market today. This Simms Freestone Jacket also has a dual draw-cord adjustable bottom hem which helps to keep the weather off your body which helps to keep you warm during cold fly-fishing weather, so you can now stay nice and warm while you are enjoying your fly-fishing adventures while wearing this top-notched fly-fishing jacket by Simms.